It’s important to fully meet patients’ aesthetic desires, despite outside conditions that might be affecting the economy or the larger world. 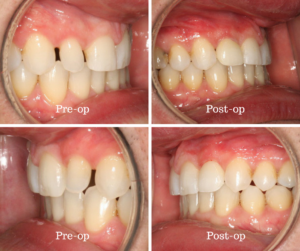 Below, one dentist describes a case that emphasized delivering on expectations. 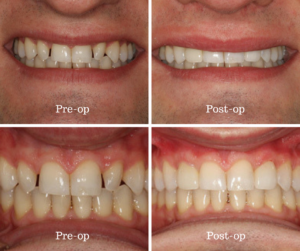 The desire for aesthetic improvements in one’s smile does not disappear simply because of changes in the economy. How we meet patient desires can prove to be incredibly rewarding. This case was a terrific example of a patient with diastemas between his laterals with rotation, which was his primary concern. By choosing a high quality aesthetic laboratory like Gold Dust, I was able to meet Tom’s goal to close spaces while matching his existing dentition, making a considerable improvement to his smile by fabricating teeth #7 and #10 in Ivoclar IPS Empress Aesthetic material. Smile design must also meet the financial parameters of our patients. These opportunities challenge us as clinicians and laboratories. When we rise to the challenge, we can achieve great results!